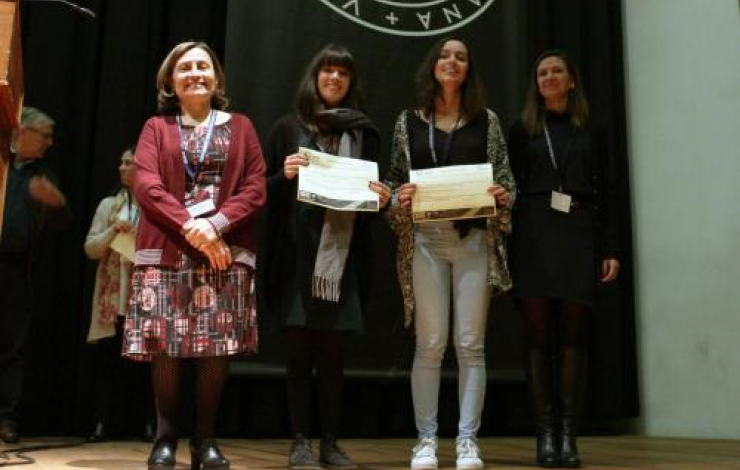 Sara Pais, PhD student in the Infection Biology Lab (led by Jaime Mota), at UCIBIO - FCT NOVA, was awarded the “AWARD ALFAGENE - Jovem Investigador em Microbiologia” for the best communication presented at the Congress of Microbiology and Biotechnology (MICRIOBIOTEC’17), held in Porto, Portugal (7-9 December 2017). This is a 1000 € prize and an award diploma from the Sociedade Portuguesa de Microbiologia (SPM), with the financial support of ALFAGENE. Cláudia Godinho from Instituto Superior Técnico, Universidade de Lisboa, has also been awarded with this prize. Sara Pais is a student of the PhD Program in Molecular Biosciences (MolBioS), funded by Fundação para a Ciência e a Tecnologia, and the work was partially supported by a FCT R&D Grant.